Award winning beauty brand Beyond Organic have added some new products to their range this month. After detailed research and trials their new ‘Organic Shine & Strength’ shampoo and conditioners are now available. They have also launched a moisturising body wash and antibacterial hand wash. The Beyond Organic range is free from all sulphates – instead containing gentle surfactants made from coconut, in quantities that cleanse without drying or irritating. People with dry, damaged or coloured hair and dry skin conditions should find a marked improvement by going sulphate free. Gentle, mild & effective, these soothing concoctions are perfect for sensitive skin and those with skin conditions such as psoriasis or eczema. 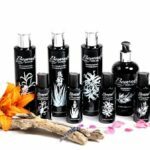 Each product contains a range of ingredients, including organic aloe vera and glycerin, to soothe and moisturise and include fresh, unisex scents derived from pure organic essential oils revitalise the senses.